The National Audition Tour is a dancer’s opportunity to audition for all ABT Summer Programs including Summer Intensives, the Collegiate Summer Intensive, and Young Dancer Summer Workshops. Auditions are open to all male and female students who have achieved intermediate or advanced levels of ballet training. Participation in ABT Summer Programs is by audition and acceptance only. Dancers may audition at one of the sites on our National Audition Tour or submit a video application. Notification letters will be emailed within 10 business days following each audition. Students may only audition once each year. Auditioning at any site will allow you to be considered for all Summer Intensive Programs and merit-based scholarships. Applicants must be 9 to 11 years old by the start date of the program, or 12-year-olds at the beginning pointe level. 12-year-olds applicants that will turn 13 during the program are not eligible to attend the Young Dancer Summer Workshop. Applicants must be at least 11 years old by their audition date and no older than 20 on June 24, 2019. Age requirements vary by site. Applicants over the age of 18 will be considered for the New York and Collegiate Intensives only. One photograph showing first arabesque on pointe or demi-pointe in center. Photo should be taken with a clear background (preferably in a ballet studio). Female students should wear tights and a black leotard. Male students should wear a fitted white tee shirt and black or grey tights. One informal headshot. Photo should be taken with a clear background and hair should be in a bun. Photographs will not be returned. The $40.00 audition fee in cash, check, or money order (checks may be made payable to American Ballet Theatre). Girls must wear full-length pink tights, black leotards, and ballet slippers. Bring pointe shoes for the last twenty minutes of class. Boys must wear white t-shirts, full-length black tights, and ballet slippers. Please note: if an audition must be canceled, you should be prepared to send a video audition promptly. Please see below for Video Audition details. Video auditions that replace a canceled audition site must be submitted by the Final Video Submission Deadline of February 15, 2019. You may submit a video audition for the ABT Summer Intensives. To submit a video application, follow the guidelines listed here. Video auditions must be submitted via our Student Portal. The portal will be available beginning November 15, 2018. An audition fee will be required to complete your video audition (credit card only). Video auditions will be accepted beginning Thursday, November 15, 2018. The final deadline for video auditions is February 15, 2019 at 11:59pm EST. Video audition results will be emailed by the above notification date. Please note that variations and performance footage are not required for video auditions. Submission of such material may negatively affect a student’s chance of acceptance. Please click below to view video guidelines and requirements prior to submission. Notification letters will be emailed within 10 business days following each audition. Please look over the schedule below so that you can be prepared to make your decision about enrollment. Each audition weekend has a deposit deadline to secure enrollment. Your spot in the Summer Intensive program will only be held until the non-refundable tuition deposit deadline date. Please see below for tuition deposit deadlines based on the respective audition dates. Find the full National Audition Tour Schedule in the table below. Young Dancer Summer Workshop (YDSW): Dancers exclusively interested in YDSW should audition at starred sites (*) only. This includes students ages 9 to 11, and 12-year-olds at the beginning pointe level. YDSW & Summer Intensives: Dancers ages 11 and 12 who wish to be considered for both YDSW and the Summer Intensives are required to attend the Summer Intensive audition class for ages 11 and up. Dancers who are auditioning in New York and would like to be considered for both YDSW and the Summer Intensives may audition on January 6 or February 3. ABT Collegiate Summer Intensive: Dancers interested in the ABT Collegiate Summer Intensive may audition at any of the audition sites with their age group. ABT Studio Company: Dancers who wish to audition for the ABT Studio Company should attend the audition for their age group in New York (January 6 or February 3) or San Francisco (January 27). 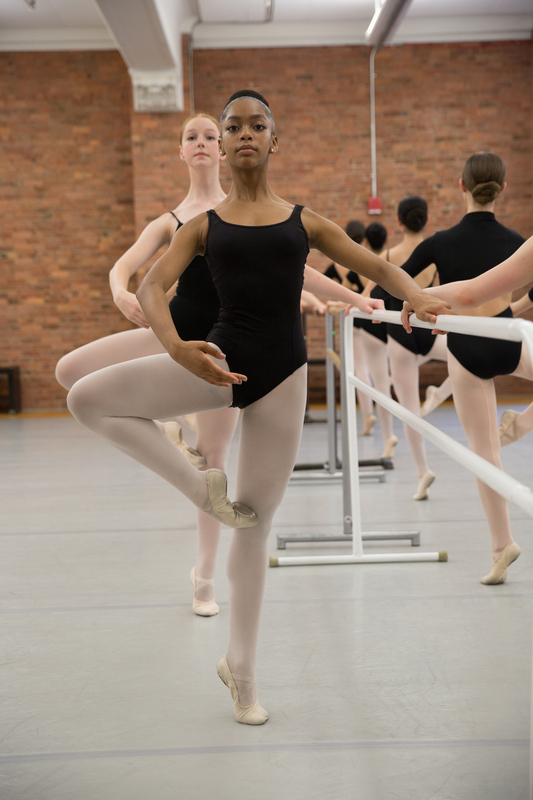 The ABT Studio Company is open to dancers ages 16-20. Please bring a resume, headshot and first arabesque photo. Students can pre-register for auditions online by clicking below . Students who pre-register will be guaranteed a spot at the registered time and are eligible for a reduced audition fee of $35.00. Pre-registration will open Monday, November 1, 2018. The deadline to pre-register is Friday, December 28, 2018 at 11:59pm EST. Pre-registration is encouraged, but not required. If you have not pre-registered, in-person registration begins one hour prior to the audition class for your age group. Additional classes will be held if there is overflow from an earlier class. Pre-register to secure your spot now! **The same schedule will be held both dates. Students may audition Saturday or Sunday. 1800 Rev Abraham Woods Jr. Blvd. Freed of London is the official sponsor of the ABT National Audition Tour. If you require further assistance or have any questions regarding auditions for ABT’s Summer Program, please contact us. To view our frequently asked questions about ABT’s Summer Programs, please click below.